Today is a big day on this blog. First, as you may have noticed I already posted my 6th and final contribution to the Summer Reading Classic Film Book Challenge. Secondly, it’s the first of the month, therefore, it means it’s time to compile another list of BAM Awards considerations. Those can be viewed here. Thirdly, September 1st marks the first day of my most gargantuan of annual themes known as 61 Days of Halloween. As the name indicates, I will be focused on horror films for the next two months. However, thanks to the backlog of films I’ve written on and can repurpose, the site will not stay myopic. 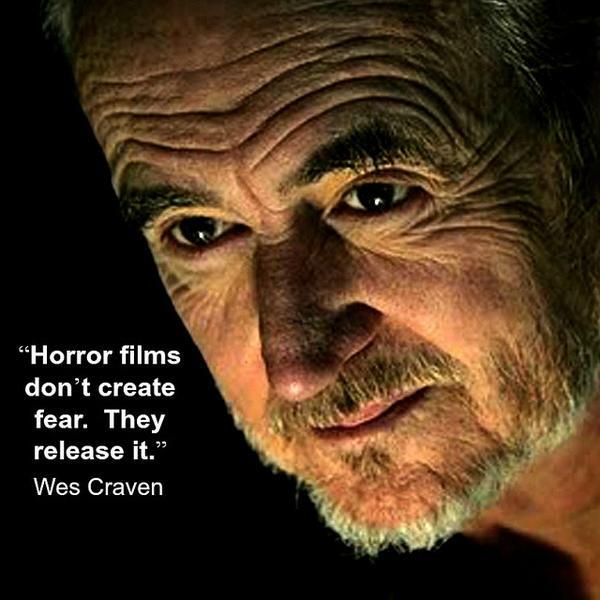 Furthermore, I would be remiss in starting a horror film theme without a few words about Wes Craven. 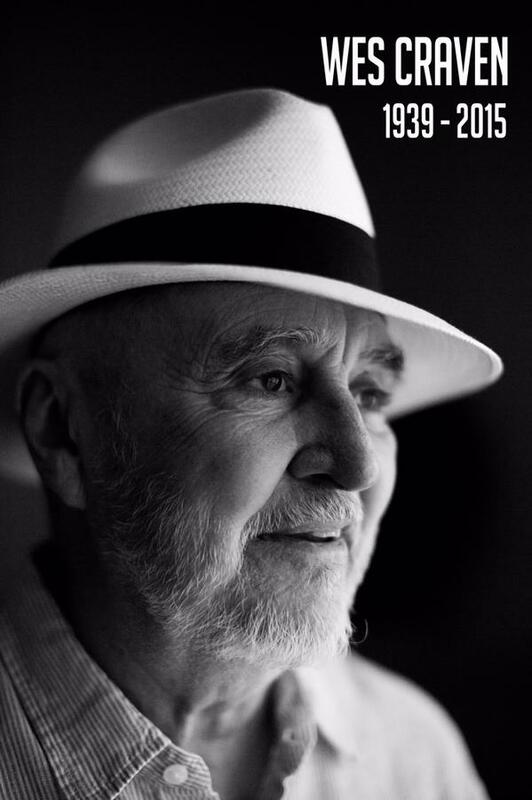 There is a nearly invariable amount of adoration that comes to the fore when a beloved filmmaker or actor dies. With Craven it is genuine, and speaking only for myself, these glowing praises for many of his works have not been formed posthumously. Writing in the zeitgeist about My Soul to Take I was higher on it than most giving it not only this review, but placing it in my top 10 of 2010. Prior 61 Days of Halloweens got me more up-to-date on his most iconic series. As a child, like many youngsters in the ‘80s; Freddy did scare me, and I caught pieces of the films but didn’t sit down to see all of them until recently. 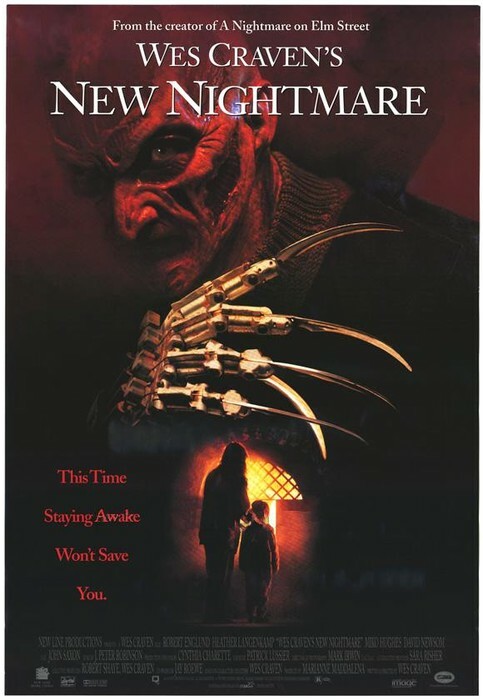 New Nightmare’s inclusion on this list is a testament to the brilliance of its reinventing the series. Some Craven films I had not gotten a chance to see yet for one reason or another will be a focus this year. In my Lifetime Achievement Awards I try in a maverick spirit to buck the Oscar trend and not award people “too late,” but you can’t get them all (I have gotten horror represented though). However, as Edgar Wright brilliantly stated: “It’s never too late to see a movie.” So I will become more a completist with him this year. Happy Horrors all, may you find those films that sate your need for catharsis and may you find the works of Craven if you have not yet. The final book that I selected for the Summer Reading Classic Film Book Challenge was actually a back-up option. In scanning my unread titles two that slipped through the cracks were books that were included as supplemental features on Criterion Collection releases. And by books I don’t mean booklets, which are standard, but actual paperbacks which are rarer. 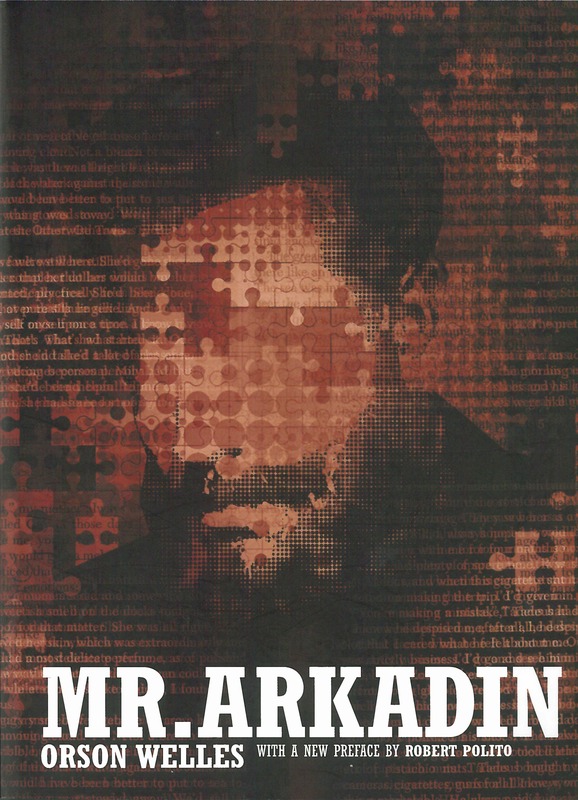 The first book I tried to read was Mr. Arkadin by Orson Welles. This is the novelization of Welles’ script, alternately called Confidential Report. I saw the four cuts of the film in a weeks’ time therefore decided to wait on the book. While the story of the strange nature of this novel, which ran serialized in France, and was later translated back into English presumably making it less than Welles original version (again! ); I lost interest as it read slow and I was juggling a few other books. It’s a rare case of my successfully enacting the Brautigan Rule, as described by Stephen King in Hearts in Atlantis (the character Ted Brautigan encouraged Bobby to read more by moving on to another book after it’s 10-20% read if he’s not interested). I may come back to it, but not right now. Maybe next year if the blogathon returns. What I decided on was Writing Vampyr, which was included in Criterion’s release of Vampyr (1932). This seminal vampire film is often overlooked in part because it has neither the flash of German Expressionism nor the iconic makeup work of Nosfertau. 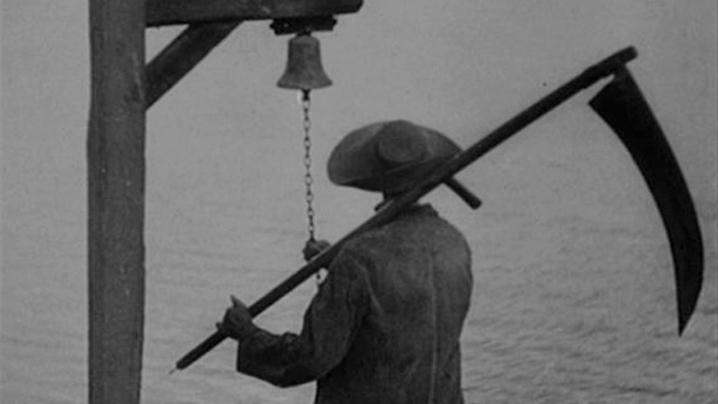 Yet Vampyr as an early sound film still is built mostly on imagery and is not a locked-down camera early sound film. 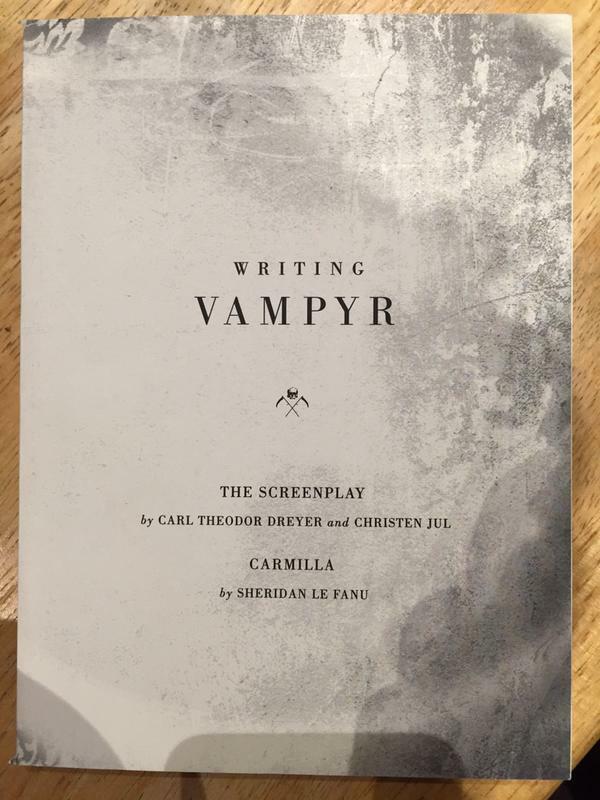 This book is composed of two texts: the original screenplay by Dreyer and Jul and the novella from which it draws quite a bit of inspiration, but is not a literal adaptation of, Sheridan Le Fanu’s Carmilla. The fact that these two titles work more like companion pieces than identical texts makes this a very enjoyable reading experience. As for the screenplay, I can’t help but feel it actually contains a better vision for the story than the film does. It’s what would have qualified as a “great flawed film” in Truffaut’s parlance as the script wasn’t entirely feasible to shoot due to technological restraints at time as well as budgetary ones. Full credit goes to Criterion here for including the full text denoting in two different ways what was excised from the script and when in the process of pre-production. As I touched upon in my Ingrid Bergman Blogathon post, both time and country play a role in dictating screenplay form, and it is ever-changing. With the amount of prose in the script it really is like reading two novellas. And that should ingratiate it to the uninitiated in screenplays. If Sheridan Le Fanu’s Carmilla intrigues you the collection from which it is culled, In a Glass Darkly, can be found digitally online for free. As for Carmilla itself it should be of interest simply for all the adaptations its inspired like The Blood Splattered Bride, Twins of Evil, Let’s Scare Jessica to Death, Lust for a Vampire, Vampire Lovers, Crypt of the Vampire, Blood and Roses, and more. What was surprising is that the introduction cited the story as having undertones of lesbianism, but for the time in which it was written it seemed rather overt. I can only imagine that maybe it read more as an undertone back then because the phrase “the love that dare not speak its name,” had not been coined. The language, as per usual in the Victorian era in my estimation, is brilliant, yet here concise and not overly-florid such that it obscures meaning and intent. It’s also a relief to read things described in detail anew as the sparsity of modern description can leave one wanting on occasion. These two pair beautifully together and truly demonstrates the elasticity that film has when adapting the written word.